This extension and renovation of an old farm building in Obermorschwiller, France, consists of four new guest rooms that respect and honors the history and details of the original barn structure. 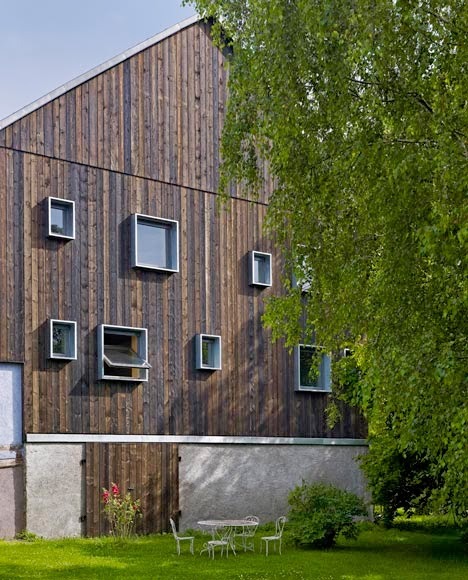 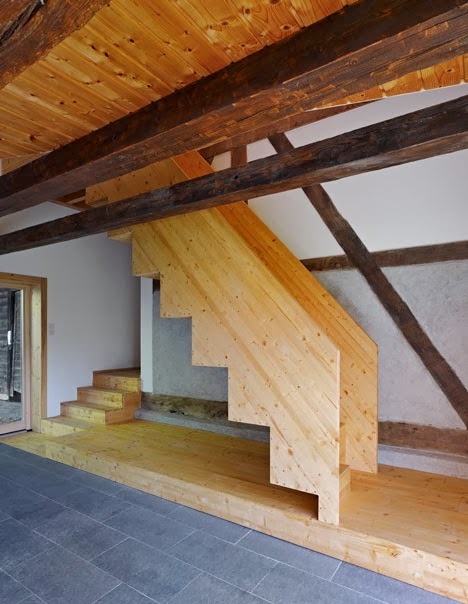 Designed by Loïc Picquet Architecte, the interior of the existing part has its timber frame exposed, while the new timber-clad extension follows suit, by leaving beams also uncovered. 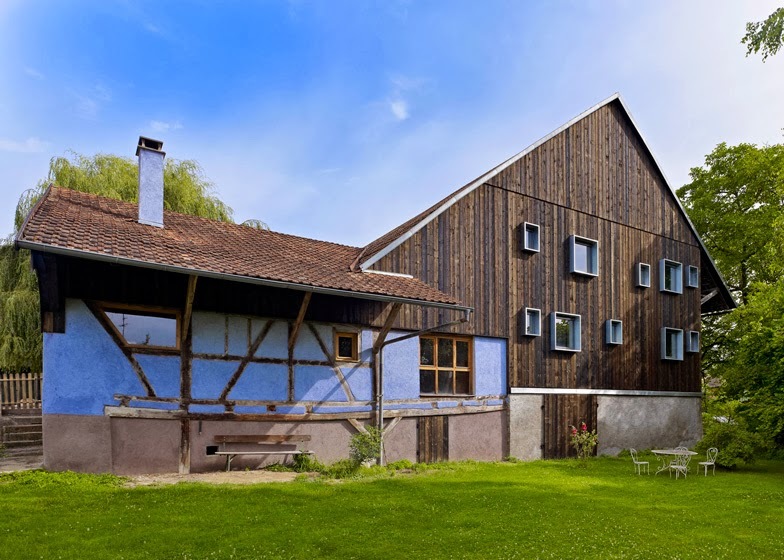 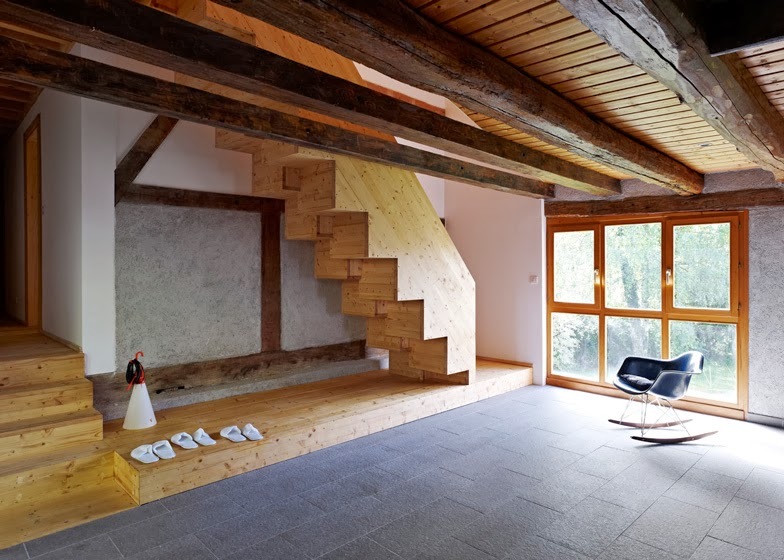 The project created four lodging rooms in a farm building in Alsace. 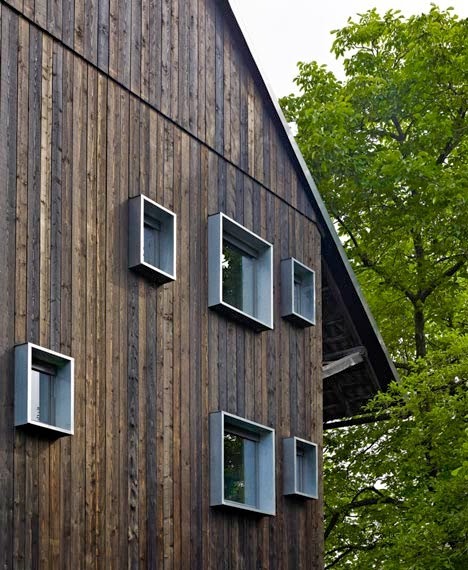 A new wood construction was added as a natural and fluid extension of the old farm, not only renovating it but mostly honoring it by the use of its history and details. 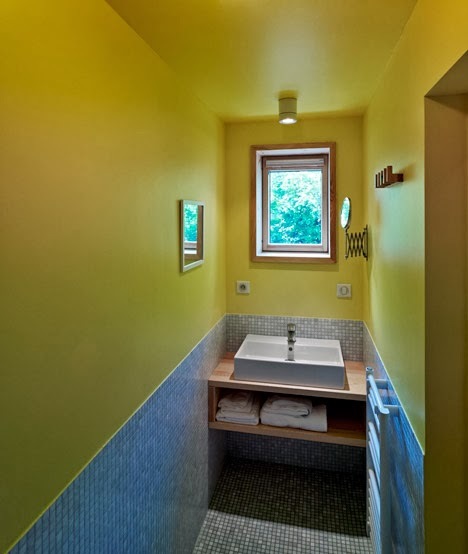 Thereby, niches were built in the walls and double doors were chosen over the regular ones, so that a special interaction between the bathroom and the room could be created. 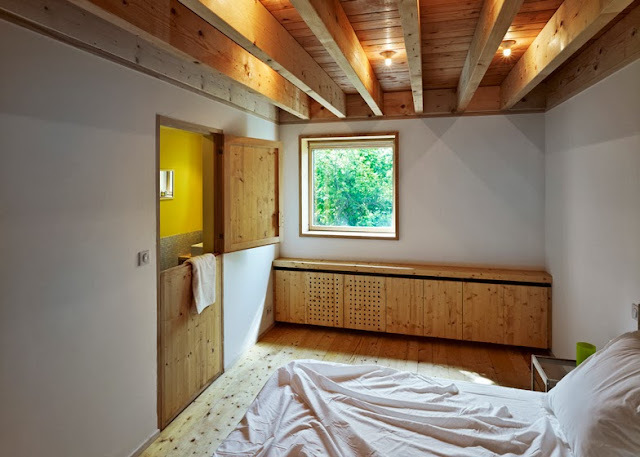 The room set is illuminated by Velux windows, drilling in an almost artificial way the old building envelop.